Reservations are required to dine at this exclusive restaurant, but they’re easy to get. 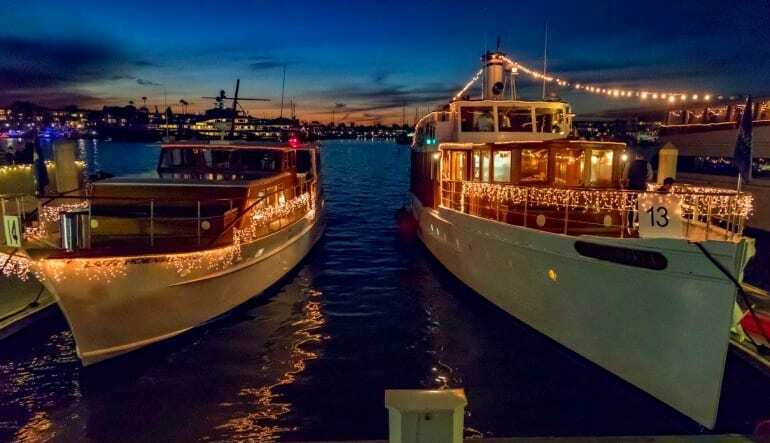 Book now for an unforgettable dinner cruise in Marina del Rey. Boarding at the Fisherman’s Village, you’ll step foot aboard the deck and instantly be spoiled. A welcoming glass of Champagne greats you before you sit down for a delicious four-course dinner at your private table. Following your meal made of local, season ingredients you’ll head to the outdoor deck for music and dancing under the stars. While under the stars, you’ll have the opportunity to see playful sea lions, celebrity homes and the beautiful southern California coastline. 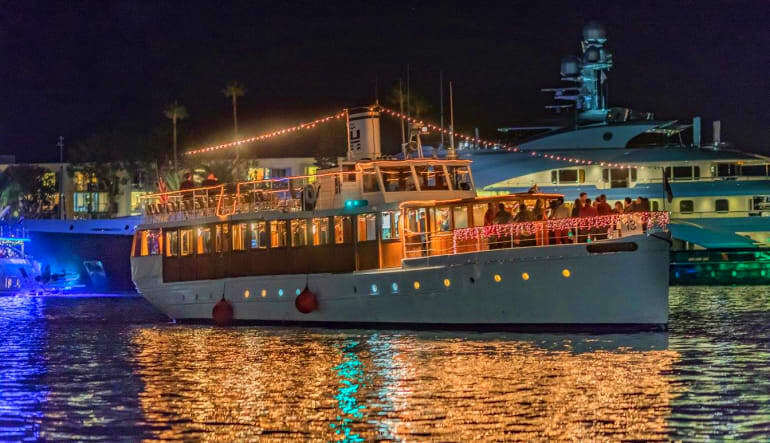 Dine and dance in Marina del Rey harbor and spend a night celebrating. Book your dinner cruise today! For men, slacks or khaki pants, and a collared shirt with or without a jacket; for women slacks or skirt, with a collared shirt, or dress.